Former Gor Mahia midfield ace Ali Hassan Abondo has parted ways with South African club Ajax Cape Town by mutual agreement. Abondo did not play much for Ajax this season having been riddled with injuries. “Abondo has been extremely unfortunate with injury and now has strong competition for his play-making position in the middle of the park, especially after the signing of Zambian international Roderick Kabwe which will see him down the pecking order if he stayed,” said club chairman Ari Efstathiou to the club’s official website. Abondo is a highly tactical and technical player who makes intelligent runs, plays well off team-mates, has a good first touch and . It is this aspect that impressed former Kogalo coach Zdravko Logarusic who gave him a permanent spot in the starting line-up. He was the poster child for Logarusic’s philosophy of running and thinking at the same time. Abondo was Kogalo’s third leading scorer in 2015, scoring several crucial goals and combining extremely well with Michael Olunga and Meddie Kagere. He left for South Africa to pursue greener pastures in January of 2016. His ability to play intelligently off his team-mates and his accuracy in shooting enabled him score 11 goals in the 2015 Kenya Premier League. Also impressed was Ajax Cape Town coach Roger de Sa when he first saw Abondo. “We can now get three games with him before next season and I think already today, even with very little training that he has got the touches and the runs. So I think he will be a good one for us. He is a ‘10’ and can also play out on the wing. He is a touch player and he is polished. There are good signs and hopefully he will get better and better.” said the coach. It is for this reason that Abondo is likely to pass trials with any South African side he goes to. But given his struggles with injuries, his chances of being signed again immediately are low. 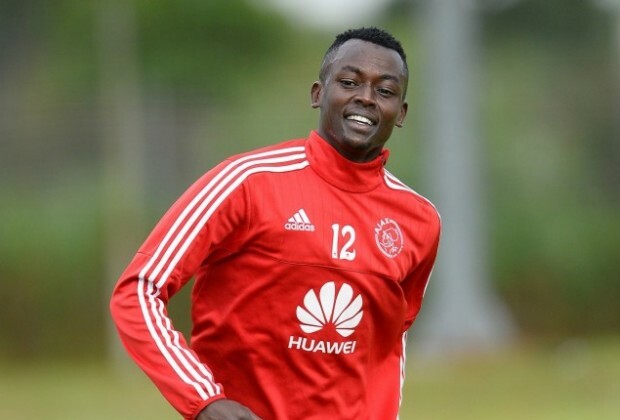 Ajax also released Portuguese striker Joaquim Lupeta after he spent most of his time on the bench. Karibu nyumbani teargas, home is best, kogallo is home. ec should’nt rush to signing abondo unless the technical bench says so. Rumors,yes, yes, until they put ink on the paper. Again, can Kimathi offload to Gor? Bring him back at whatever price or is it another case of Meddie Kagere ? Gor Mahia is the only club where players walk in and walk out as they please. This Abondo is the same player who refused to play for Kogalo during the Mashemeji Derby. He was also released for free! Any way he is welcome to the Kogalo rehabilitation centre. So sorry for Abondo. I think that the best thing to do is to support him emotionally than creating a falls impression of a possible move back into the team. If players in Gor are operating on adrenaline charge, then it is good for them and it is them who should take advantage of it. We all know that the EPL or European leagues that we so much admire pushes a player to the limit. No easy game anywhere. In fact the right frame of the mind is key. @Ingo please note that Victor Ali has been dropped by Ajax Cape Town because of persistent injury and not underperformance. @Dan Original,Is it a permenent move or a loan deal?